Last Hallowe'en, a goth cheerleader showed up on my doorstep. I had no choice but to take her in. She's been with me ever since, learning quietly how to be a tween and she seemed to have assimilated back into the human clan rather well. But, as the moon burgeoned, I began to notice some changes. Some rather frightening changes. They say unconditional love and acceptance heals all; so that is precisely what I did. To no avail. Soon, it was Hallowe'en and we screamed in terror when we saw what had become of our quiet child from another world. I tried to put the camera down but I was transfixed by this creature that was willing me to continue taking pictures instead of helping my husband keep his fingers intact. It was a horrific sight. But at least there was finger food at the neighborhood party. Mwa ha ha ha ha ha ha! Cool costume! 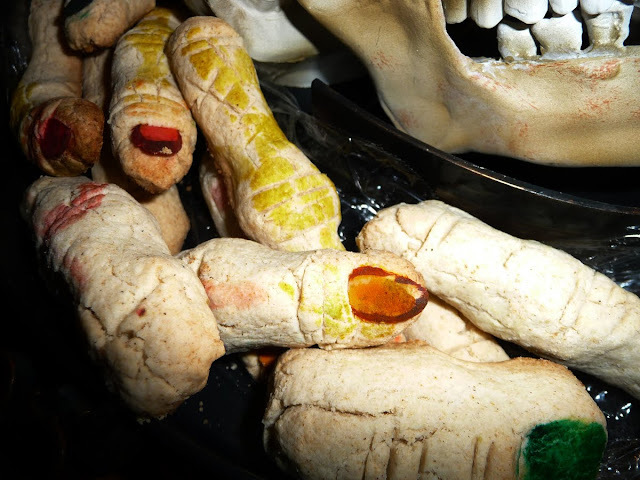 And very scary "finger" foods! Tell her she is a scary cutie pie.. But that finger food is really gross! Great idea. just. awesome. brilliant post, brilliant costume! Thats a scary cheerleader :)). The ladyfingers look as sweet as your daughter! awesome costume...i believe your daughter would have enjoyed the halloween.. If I'm salivating, does that make me a monster? Very cool! The finger food is awesome too! Very cute! 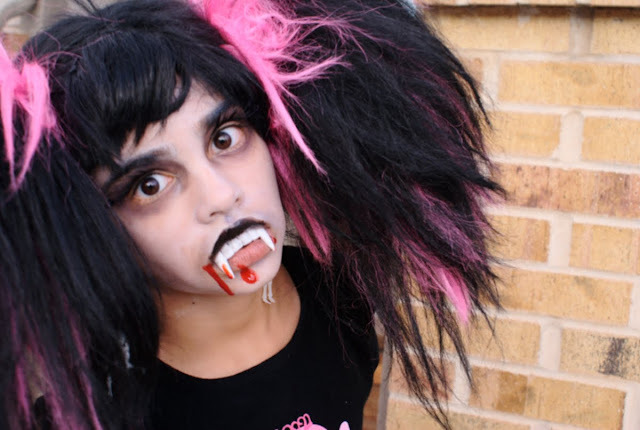 Ghoulish, yes, but CUTE! She looks scarier than last year. 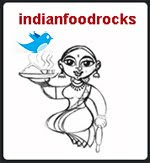 The dhansaak looks delicious. I remember having it at the one and only Parsi wedding I attended. Does the sweetness show up? Whoever came up with the finger food idea must be awarded. It looks yuck! I missed your IFR-Memories event and am waiting for the round up.